Disc locks aren't glamorous subject, but in a world of scooter gangs and increased motorcycle theft, they can be the difference between riding home and walking out to an empty space where your bike once stood. Not only could they keep your bike safe, but many can fit in your pocket, meaning no need to carry a bulky chain. Some can even save you money on your insurance, too! To help keep your pride and joy safe, we've complied five of the best disc locks currently available on the MCN Shop and Amazon. Aren't we nice? If you're a new rider or you're a little bit forgetful, it's also important not to forget to add a bright reminder cable so you don't ride off with your disc lock still attached, saving any embarrassing carpark drops. This understated, silver lock is alarmed, self-armed and capable of producing 120db of noise, should it be required. 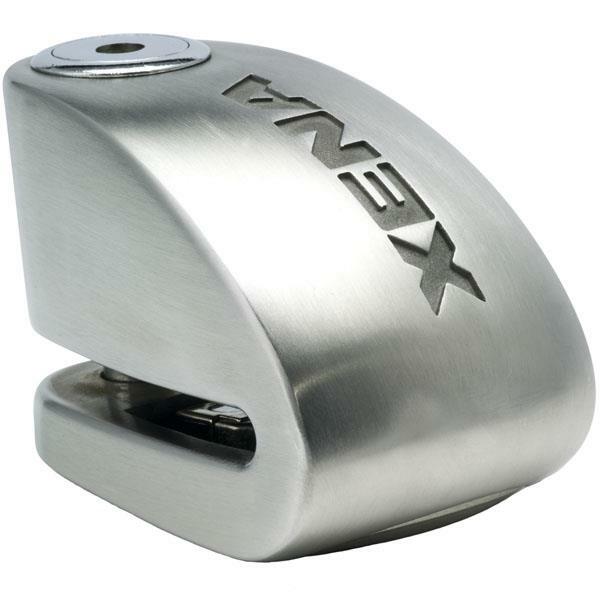 Featuring a 10mm reinforced pin, it is made of 100% stainless steel and is corrosion resistant. 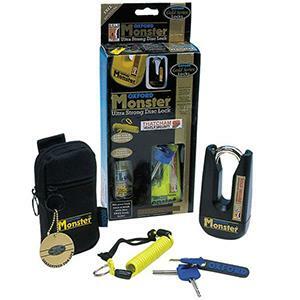 What's more, the ultra-high-strength lock has an ice spray proof body and barrel and a double locking system. Shock and movement sensors are also present and the alarm module is replaceable. Oxford's Monster disc lock is constructed from 11mm hardened Ni-Cr-Mo alloy steel and is Thatcham and Sold Secure gold approved. 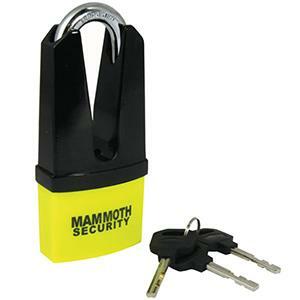 It features a double locking mechanism with two hardened steel bolts. A widened access to the disc also means it can be used in conjunction with a chain. A best-seller on the MCN Shop, this little number from Mammoth features a 6mm pin and is made from hardened steel. 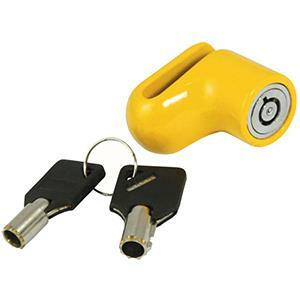 A bright yellow colour means less chance of riding away with it attached and it comes with two keys. If you want something small and cheap to stash in your pocket, then this is the one. 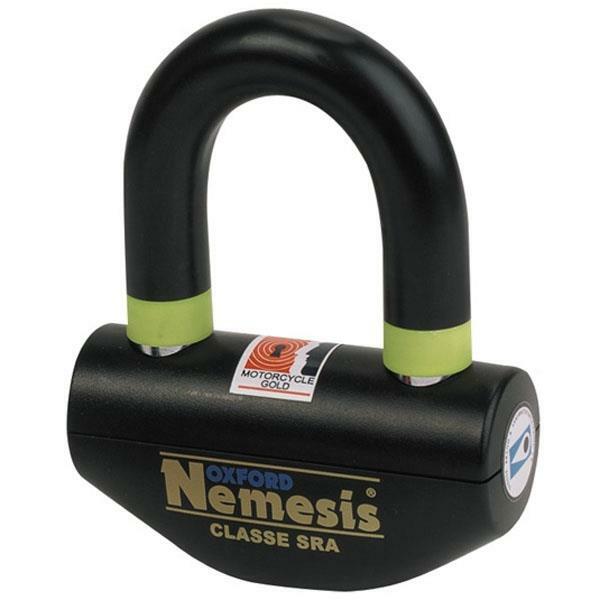 Simple and chunky, the Nemesis is Sold Secure Gold approved and comes with an anti-pick double locking mechanism and a sturdy 16mm hardened steel shackle, making it harder for wannabe theives to make off with your wheels. This rather large disc lock features an 11mm hardened steel pin with a hinged barrel cover. The tapered design helps place the lock over the disc. Again, this is another brightly coloured lock, meaning less chance of accidentally leaving it attached. Looking for the perfect two-wheeled companion? Visit MCN Bikes For Sale.